due to the FOIA. However, their effect on a patent application or issued patent varies based on whether someone actually requests the submission under the FOIA, and what the government eventually releases in response to the request. (FOIA), documentation submitted to the government, such as a grant, is available for public inspection. This situation can create a dilemma for many startups and independent inventors who rely on government funding to develop and protect their technology. That is, funding an invention through competitive grants could also prevent an inventor from obtaining or enforcing a patent because the information is available to the public. Therefore, it is best to develop a comprehensive plan before submitting a grant application, which includes reviewing the rules and regulations for a particular program, and consulting an attorney before submitting a proposal. ” under AIA. Since public summaries provide no mechanism for an inventor to treat its contents as confidential, safeguards in case law for maintaining the confidentiality of a submission would not apply. Most FOAs, or similar programs offered by other agencies, will include measures for keeping an inventor’s submission confidential. However, an agency is not necessarily required to provide these measures. In addition, some portions of a submission may be exempt from confidentiality even when an inventor follows all relevant procedures. To protect inventions, inventors and their attorneys should carefully review or request clarification of all confidentiality rules. 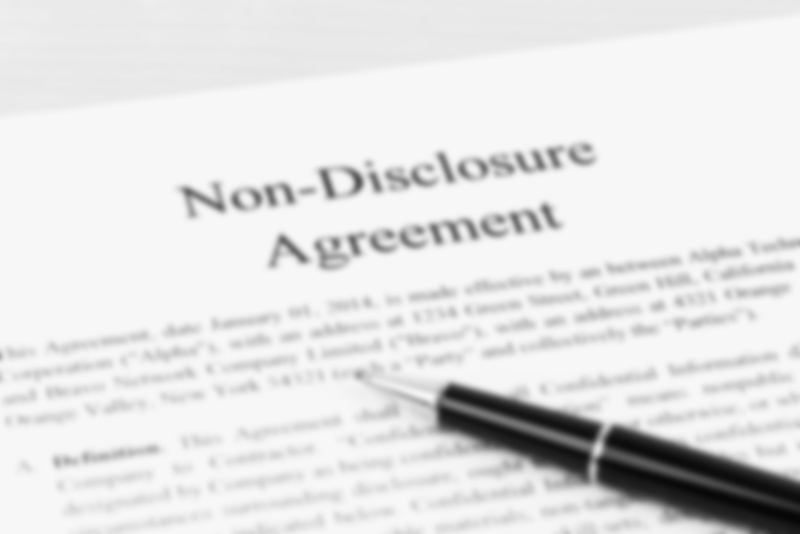 Teams should mark any relevant pages as confidential in accordance with confidentiality guidelines to prevent the submission from being treated as a printed publication or considered “otherwise available to the public.” Although the USPTO and courts have been generous in allowing grant submissions to be treated as confidential when measures exist for preventing public dissemination, using all available protections against public disclosure is safer. In addition, teams should carefully review any public summaries in a document to make sure that this information does not undermine efforts elsewhere in the document to keep an invention secret. As government-funded technology transfer continues to play an important role in the IP landscape, more case law interpreting AIA (and possible changes) may be on the way. DuPont de Nemours & Co. v. Cetus Corp., 19 U.S.P.Q.2d 1174, n.7 (1990). Medtronic, Inc. v. NuVasive, Inc., Case IPR2014-00076 (PTAB April 8, 2014); Oxford Nanopore Technologies Ltd. v. University of Washington and UAB Research Foundation, Case IPR2014-00513 (September 15, 2014). , Modification 01, pages 55–56, (last visited Feb. 23, 2015).
. However, what is considered “otherwise available to the public” under the expanded definition of prior art has not yet been clearly defined by the courts.